When Sitecore introduced Sitecore 9, they also introduced SIF (Sitecore Installation Framework). The Sitecore Installation Framework enables users to deploy and configure a Sitecore environment using a standard configuration design that can be extended through custom PowerShell functions. When that was introduced, Sitecore MVP Rob Ahnemann introduced a tool called SIF-less. This was SIF-Less 1.0, and was a Winforms application where you actually configure a lot of parameters (where’s the license file located, where are the Sitecore 9 WDP zip files located etc…) and in the end it generates one big power-shell file, that you can run which installs the appropriate version of your Sitecore 9 install. I’ve used SIF-Less 1.0 for my previous local deployments, but also used it as a starting point for my project team’s local environment deployments and even used it for setting up the base, and then adjusting the SIF scripts manually for deploying out on-prem infrastructures for higher environments. So about half a year ago Rob came up with an updated version of SIF-Less tool, called 2.0. Being very busy on a project, not having the need to actually start using the new version & due to time constraints, I did’t look at the updated version. But now I’ve finally found the time and wanted to explore the new 2.0 version. In this blogpost I would like to walk you through that various configurations you can do to start installing Sitecore 9.1 with a breeze. Let’s make sure that we have the Sitecore Installation Framework 2.0.0 installed. You must use SIF to install Sitecore. 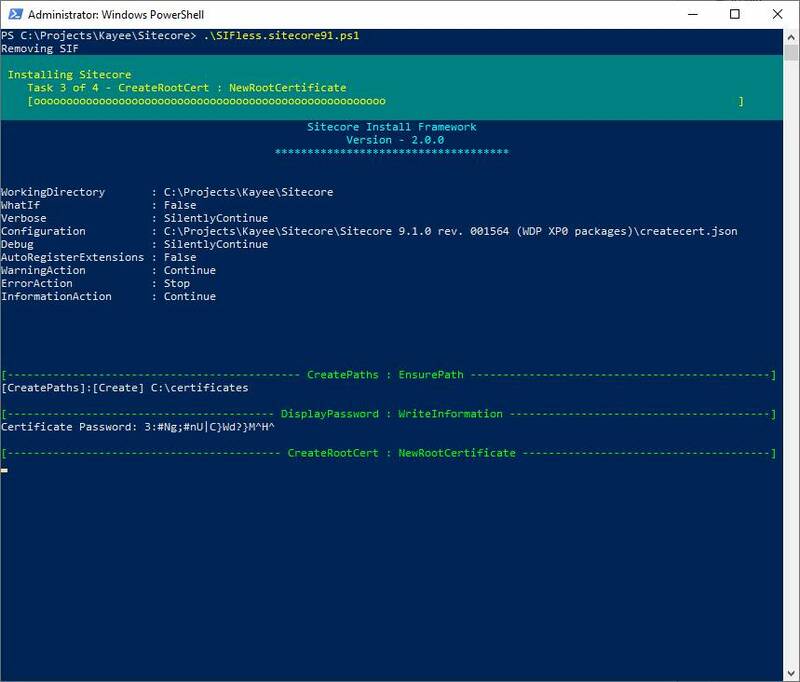 The framework deploys Web Deploy Packages (WDP) by passing parameters to SIF configuration files through a Microsoft® PowerShell module. This will open up the SIF-less application. 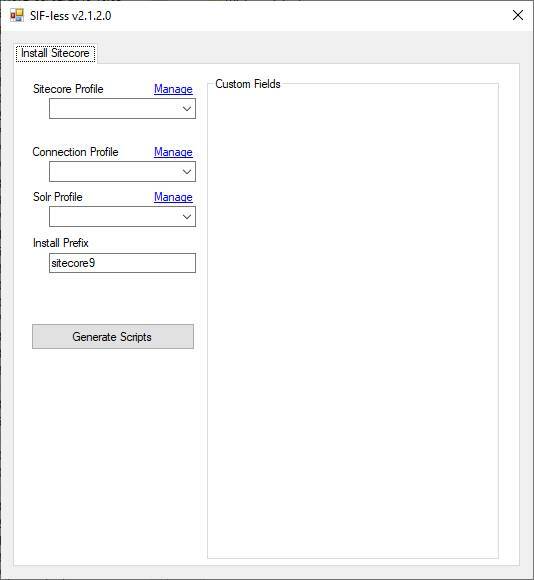 In the Sitecore Profile we can create several Sitecore profiles, where we configure what Sitecore environment we’re going to install. 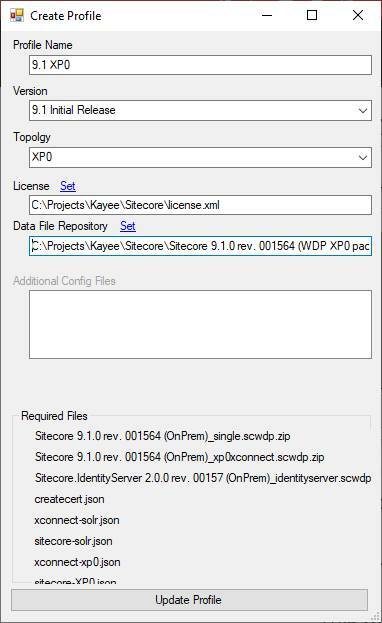 In this blog-post, like said before, we’re going to install a XP0 topology (The Sitecore Experience Platform, running as a single instance which is best used for development and testing. For security and scalability reasons, it is best practice to use the XM1 or XP1 configuration in production environments. Create the profile and return to the main SIF-Less start screen. Create the connection profile and return to the main SIF-Less start screen. 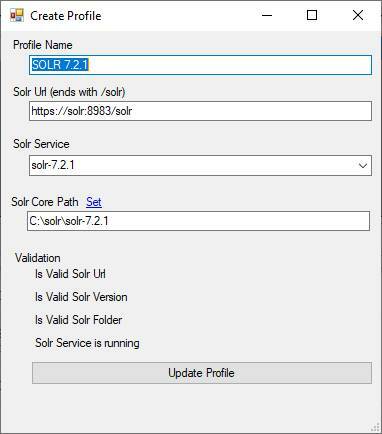 Create the Solr profile and return to the main SIF-Less start screen. Once that is all configured, we can hit the Generate scripts button. SIF-Less will create a Powershell file, that you can then run in Windows Powershell, and which will install and configure your local XP0 topology. All in all it will take about 11 to 13 minutes to install Sitecore 9.1 XP0 locally. 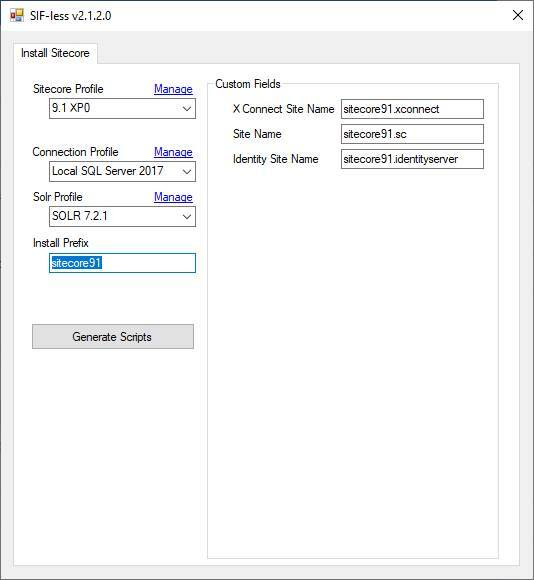 Once the installation is done, you can go to IIS and start the added and configured sitecore91.sc site and browse to it. And that’s it. 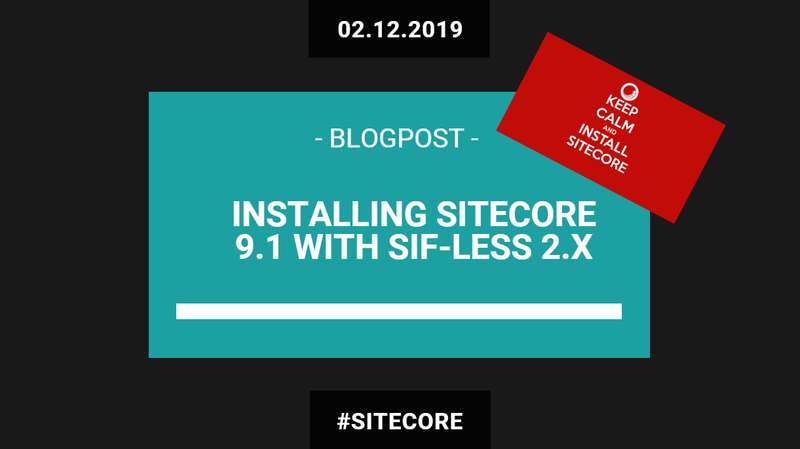 It’s easy peasy to install Sitecore 9.1 with SIF-Less! 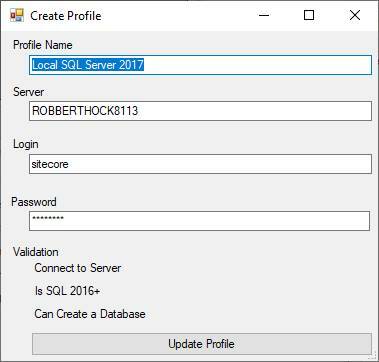 Big shout out to Sitecore MVP Rob Ahnemann for building this tool!